For years we’ve had pizza night once a month. However, a lot has changed since I wrote about it in 2009. Here’s an updated version of how we do pizza night at our house. One thing that hasn’t changed is that The Man of the House (TMOTH) makes the pizza. However, the recipe for the pizza dough has changed slightly. 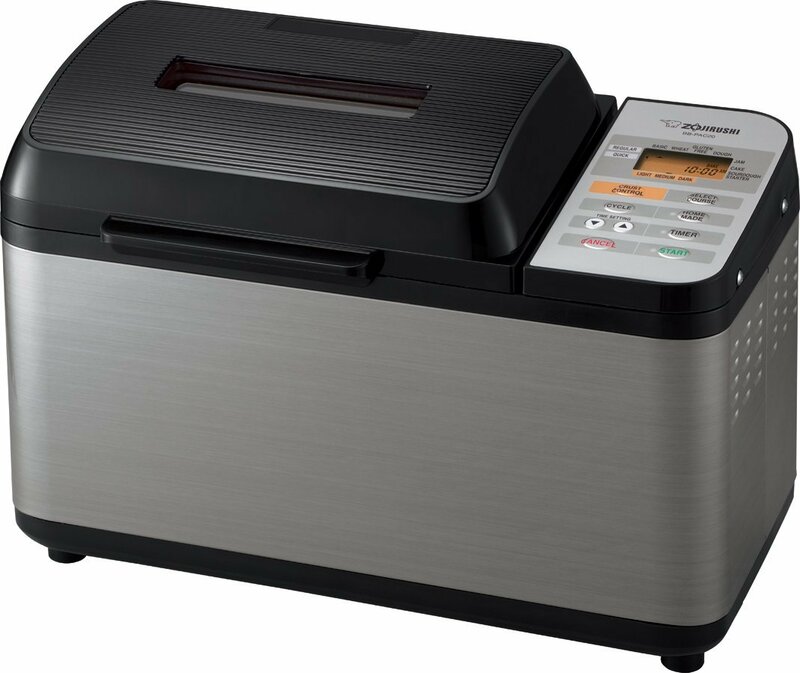 This happened when I got a different model of bread machine. My current machine does better with slightly less water in the pizza dough. Here’s how we make round pizzas on a pizza stone. 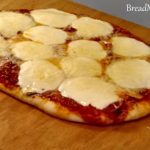 If you don’t have a pizza stone you can check out my earlier blog post that describes how you can make rectangular pizzas using cookie sheets. 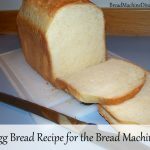 Follow the recipe below and use the dough setting. Be sure to check on the dough after a few minutes of kneading. It should be a smooth, round ball. Once the dough is done, separate it into two balls. Let the balls of dough rest for at least 5 minutes. Then use a rolling pin to form two rounds of dough. 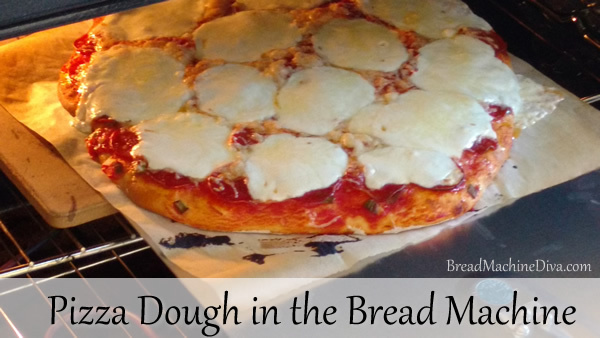 Move the pizza crusts onto parchment paper. At this stage of the process TMOTH puts his pizza stone into the oven and sets the temperature to 545 degrees. 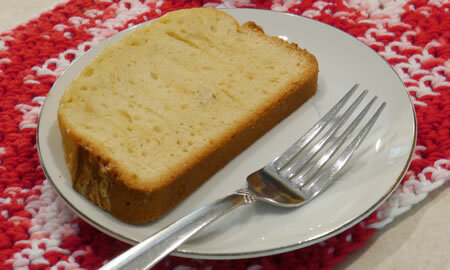 If your oven doesn’t go over 500 degrees, set the oven for about 5 degrees under its maximum temperature. 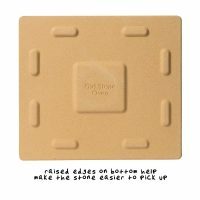 By the way, TMOTH did a lot of research before buying the pizza stone. He’s been really happy with it as it makes the pizza crust crispier. He says there’s no going back once you’ve had a pizza stone. We make our own pizza sauce too. The sauce ingredients vary according to what we have on hand. In general TMOTH combines the following in a bowl. even more garlic – Sometimes TMOTH will add additional garlic directly to the sauce. Lightly brush olive oil on the crust to seal it. 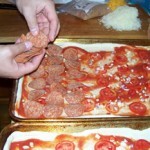 Then spread the sauce over the pizza avoiding the edges. 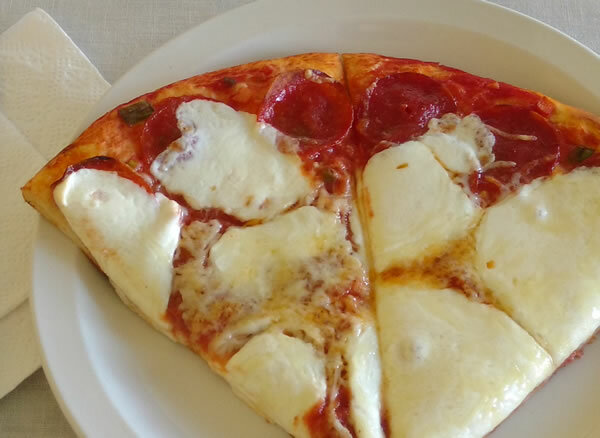 Cover the pizza with pepperoni. At our house we use lots and lots of pepperoni. It comes to about half a pound for both pizzas. Next add fresh mozzarella . . .
Then add grated Parmesan . 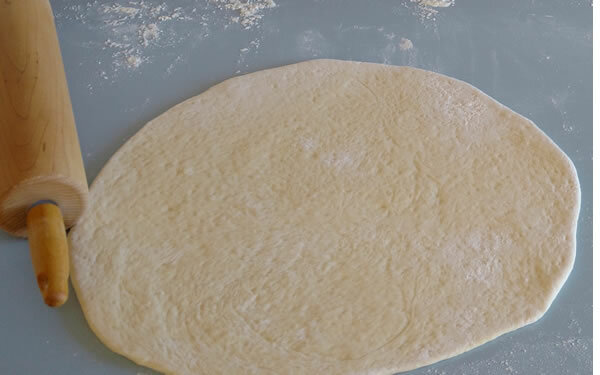 . .
TMOTH uses a special tool called a peel to move the pizza and the parchment paper onto the pizza stone. Note that the pizzas will cook one at a time. Keep an eye on the pizza and watch for the cheese to melt. That’s how you’ll know when it’s done. In our oven that takes between 6 and 8 minutes. 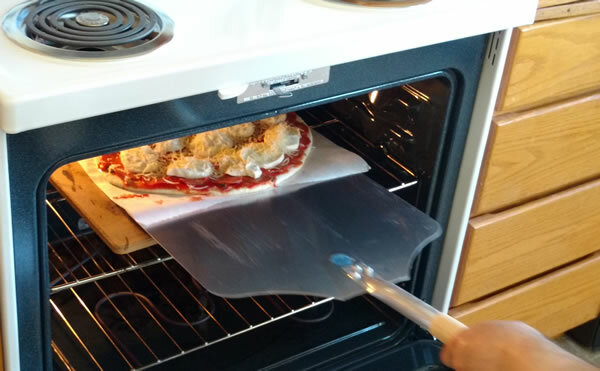 When the pizza is done TMOTH uses the peel to remove the pizza and parchment paper from the oven. Then he slides the pizza onto the cutting board and discards the parchment paper. Another addition to the kitchen is a pizza cutter. It allows TMOTH to quickly and easily slice the pizza. It’s much better than the traditional round cutter. How much better? We just donated our old, round pizza cutter to the thrift store. There’s nothing wrong with it. However, this pizza cutter is much better. Some pizza, a nice green salad and a glass of wine are the ingredients for pizza night at our house. Separate the dough into two balls. Let the balls of dough rest for at least 5 minutes. Then use a rolling pin to form two rounds of dough. Put the pizza stone into the oven and set the temperature to 545 degrees. 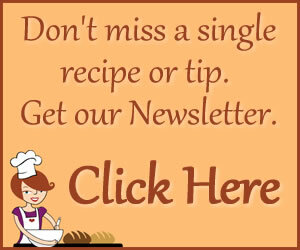 If your oven doesn’t go over 500 degrees, set the oven for about 5 degrees under its maximum temperature. Cover the pizza with pepperoni. Keep an eye on the pizza and watch for the cheese to melt. That's when it's done. In our oven that takes between 6 and 8 minutes. 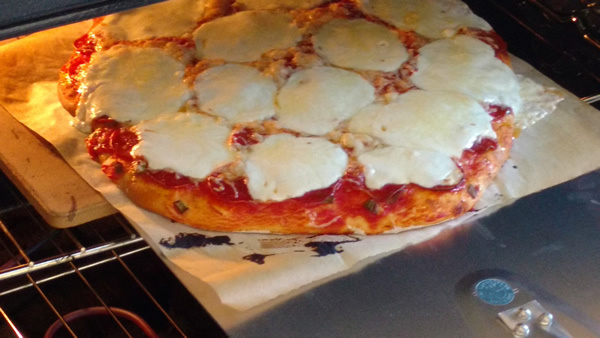 When the pizza is done use the peel to remove the pizza and parchment paper from the oven. 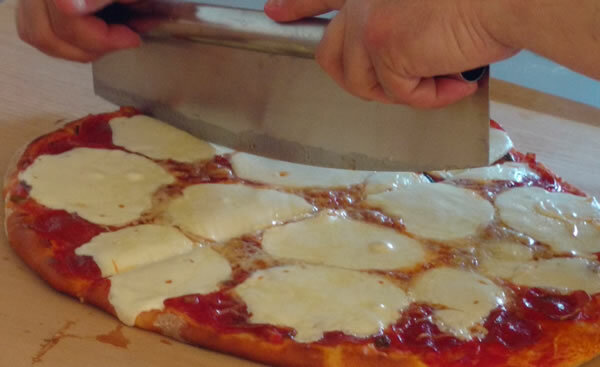 Slide the pizza onto the cutting board and discard the parchment paper. I understand that parchment paper should not be used above 420 degrees F. Does it not burn? It gets brown and a little crispy, but it hasn’t caught fire. Here’s more about this issue from Cook’s Illustrated.